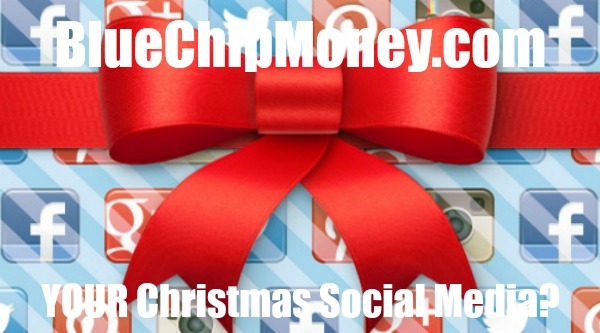 Millennium 7 Publishing Co.: YOUR Christmas Social Media? It's going to be an Social Media Christmas, and you better be prepared..
Social media is emerging as a powerful marketing tool to drive demand, but as kids decimate wrapping paper under the tree and squeal with delight, it can also bite you in the bow, if you know what I mean. Let's look at the good stuff first. As I talk to kids and ask them how they heard of the toys they're buzzing about, increasingly I hear that they saw it on YouTube in another kid's video or a friend sent them a snap. You remember how Boomers and Gen Xers used to see a kid with something on the playground, or play with it a friend's house and then want it? That's word-of-mouth, and it's always been one of the most powerful tools for selling toys. When we were marketing Pictionary in the pre-Internet days, we traveled the country trying to get people to play and spread the word. We boarded airplanes with enough sample packs to give one to every passenger on that flight. You can't do that anymore. More's the pity, and toy marketing is nowhere near as fun. But YouTube, Instagram and especially SnapChat are spreading the word, and you know what? It's defining kid-to-kid communication in 2017 whether the kids are next door or on the other side of the globe. Kids feel like they know one another through these media, and in a sense they do. Marketers can push toys through sponsored videos, but the sharing and spreading of word-of-mouth is organic. Think about how many slime channels emerged on YouTube last summer...and how many Instagram feeds. While the mainstream media loves stories about middle schoolers making millions on YouTube, the reality is very different. Only a few make any significant money because what it's not about getting rich. It's about sharing and saying "look at me, and look at what I did!" The latest trend, if you haven't heard about it is...wait for it...squish. These are spongy characters that are cute and collectible. As many of these trends for simply designed, somewhat silly toys do, this one started in Japan where the high k'waii (or cute) quotient captured imaginations in consumers of all ages. They started on the street corners and at carts here in the states, and several toy companies have seized on the trend and rushed them into production. RedwoodVentures Smooshy Mushy lines have also been designed with an eye towards how kids are going to share them on YouTube. "Really?" I hear you asking. "Kids can get excited about a glorified sponge?Yes, and you're clearly not thinking like a middle schooler. With squish, it's all about the "slow rise" after these have been squished, and that, to some, makes compelling video. It's working, too, as kids seek these out. Andy Wiseman, president of RedwoodVentures describes the power of these media this way: "Kids are our advertising channel. When the product is good, kids tell other kids. It's believable. And their voices are amplified thousands of times online." That amplification, however, can work against you. Especially if there's a problem, or a perceived problem. The same media that magnified your marketing can turn into a megaphone for criticism. Since, as I've been saying over the past 18 months or so, outrage is the default emotion of our time; even the slightest negative has the opportunity to get out of control in the hands of someone with a smartphone and an ax to grind. As we've seen in the current environment, rationality and fact are too easily trumped by emotion, notably anger. Think of the problem with Spin Master's Hatchimals last year. Considering the number of malfunctioning units as a function of the volume sold, the defective rate was very low, lower than would be considered standard for many toys. In another time, parents would have returned the defective item to the store and gone on with their lives. Not any more. In the world of social media, ire and righteous indignation can be the ticket to the elusive 15 minutes of fame. (A famous morning show host talked to me on satellite!) Given the hot nature of the property and the disappointment and anger expressed on social media, the story was picked up and bruited by the mainstream media so it seemed like after all the expectation and hoping, the big, bad, callous toy company ended up in ruining kids' holidays. So, what can you do if you find yourself suddenly in the glare of an unwanted social media spotlight? Here are some tips. The last thing you want to do is be taken by surprise. Read online reviews to get a sense of whether or not there might be a problem. Follow people, topics and trends. --Be ready to respond. Plan ahead. Anticipate negative stuff and hope it never happens. When it does, you may not be able to respond to everyone individually, but social media is reactive and emotional. A little personal attention goes a long way. People want to feel like they can engage and be heard...and they expect that from companies today, too. --Be human. No one who is upset wants to feel like they're being spoken to by a corporate machine. I know, I know, they lawyers are going to get all up in this, but figure it out. Cold and clinical when people are hot and bothered can escalate a situation. --Make it right. You don't need to be reminded of this, but going an extra mile to make sure customers are happy is never amiss. --Blow your own horn...a bit. It's always a good idea to get out in front of a story, but be creative. How can you acknowledge your customers and give them positive attention. Whatever it is, every individual situation will eventually pass, but you also want to think about the longer-term impression you create and the stories people tell about your company on social media and to one another. For better or worse, that will be your brand equity isn't he long term. Happy Holidays! And may all your hashtags be merry and bright! Guest Authored By Christopher Byrne. Chris is Executive Producer/Content Director, TTPM. A 30-plus-year veteran of the toy industry. Currently, he is a partner in aNb Media, LLC and executive producer/content director for TTPM (Toys, Tots, Pets & More). During his career, he has held a variety of positions with toy companies covering marketing, media, operations, product development and creative. In 1988, he formed New York-based Byrne Communications and is a researcher, analyst and consultant who has worked with a variety of Fortune 100 companies tracking kid trends, product development and strategic marketing campaigns. He is regularly sourced by the investment community for insights into all aspects of the toy and children's products industries. He speaks at trade shows and for corporate events on the effective integration of play into creative management. Follow Chris on Twitter. “Generating more sales leads is crucial for your small business. Without new sales leads, your ability to close sales will soon become limited and this could place your entire business at risk.."